How cute are these?! :) Glam Puppy is definitely getting them. They're from the aptly named webstore DoggieGlamour.com, which has all kinds of glam goodies for pooches. 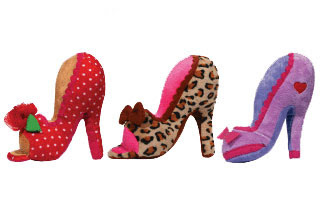 These plush shoes cost $25 for the set of 3.